Host Your Own Talk Show. Professional Talk Radio done right! Host Your Own Talk Show. Professional Talk Shows Done Right! Professional Talk Shows Done Right! We are reliable, well established, extremely knowledgeable and we have the sophistication. Our service, our website and our software are legendary. If you want to become a professional live broadcaster, a radio talk show host developing your own podcast(s) via live broadcasting and adding a professional and credible ambiance to your own talk radio program then you are in the right place! If you just wish to globally market, and syndicate, your current podcasts then you are in the right place! Since 2004 we have been broadcasting and podcasting original live talk radio to the world, and we do talk radio right! • Fully interactive professional live broadcasts anyone can do from anywhere. • Complete integration with Facebook, Twitter, LinkedIn, Instagram & Pinterest! • A plethora of 'real time' performance statistics that are dynamic & accurate! • Highly visible, professionally customized web site, platinum level features! • No Gimmicks. No Limits. No Restrictions. No Censorship. No S#!%. Professional and engaging talk radio is where it's at today, and we deliver! BBS Radio provides the very best in professional talk radio broadcasting services and podcasting services! We are a well established leader in remote engineered talk radio! Have you experienced real talk radio? Talk show hosts that come to BBS Radio don't just come here to broadcast or podcast, they come here to feel the experience and revel in talk radio done right! Engaging and exciting, always!! Let us treat you to the magic of internet talk radio. We are a world-class premier internet talk radio network and you'll be in excellent hands. We make it simple! We make it exciting! We guarantee it! We have a diverse variety of thought provoking shows ranging from Yiddish art to clean energy, metaphysics to divination, non-mainstream political commentary to alternative health. It really is a network of powerful personalities providing illuminating information. Exciting and interactive talk radio! 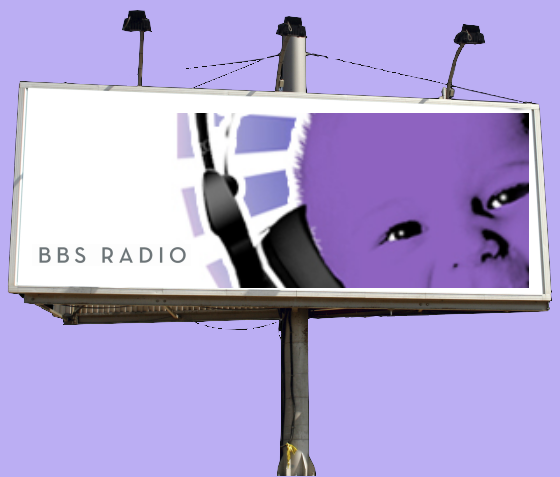 BBS Radio invites you to personally host your own radio show on our worldwide platform! You can host a daily, weekly, or even bi-weekly radio show and it doesn't matter if you've done radio before or not! It doesn't matter who you are or where you live or work! You can be a radio host promoting your information, products, services, as well as your guests on radio with no equipment necessary. Join our distinguished line-up of talk shows! The slot fee gives you your own radio show. It further gives you your own personal bio page, a talk radio program profile page(s) on BBS Radio (which is basically a highly interactive environment you'll get to know quite well) and your podcasting environment. We build it and customize it for you while also adding a wonderful array of "perks" that you'll find most exciting! You'll then have a platform that works to effectively syndicate and market your podcasts globally. You'll have the ability to promote yourself and others on your profile pages, archive pages, during yours broadcasts, within every podcast, and aggressively within each episode you create. You'll have the ability to participate in our forums, blog at your leisure, write articles, engage live chat boards, and more. BBS Radio is a strongly trafficked website. We have excellent Affiliate Partners. Some partners carry the live professional broadcasts while other affiliate partners carry the globally syndicated podcasts. In other words, some carry the live streams while others promote individual podcasts or all podcast episodes via feed mechanisms. Our quality of broadcasting and podcasting is excellent! There are no long-term contracts or hassles with BBS Radio! There are no contracts period! We are very transparent. Compare us to others in the industry and you'll soon realize that we stand out among our peers! Go to Yahoo, Google or MSN search engines and type "bbsradio.com" with quotes and see how many values you get. Hosting your own worldwide radio program has many advantages and we certainly carry a strong presence! Talk Radio is your best choice to express and communicate all manner of goods and services to a lucrative market with a global presence. The audio tools created by radio can be called upon again and again, for use as training tools, book materials, blog content, advertising clips, etc. Indeed, how better to build upon your business then by building a target market audience in ways that focus the power of your ideas? Ideas in motion receiving instant feedback! - Authority: is the belief in your prowess! This is inevitable when you speak on a platform that reaches millions! Social Credo! - Revenue: create cash flow opportunities! Increase existing revenue streams, and ultimately get more people to your store with minimal effort. - Influence: when others hear you communicate, you gain influence and momentum. You become a friend! A voice! A guide! - Notoriety/Fame: the only way that most people will ever be known is through media! - Knowledge: wisdom from insightful guests, and access to known luminaries, can provide a dizzying showcase of information, breaking news stories, and cutting edge commentary; ultimately opening doors, answering questions and solving problems. - Leadership: Take Charge! 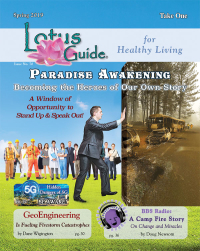 Direct the energies of a worldwide audience! Start a movement! Stand Out and Stand Up for something! - Connections/Networking: because everyone has a story to tell, you become an important person in other peoples' lives. You are the one they want to connect with, communicate with, and befriend, because you can now give them a platform to tell their story. - Branding/Awareness: bring products and services to the masses with permanent exposure of audio ads, banners and links. - Content: the audio tools created by radio can be called upon again and again for use as training tools, book materials, blog content, advertising clips, promotional materials, etc. Focus the power of your ideas! Ideas in motion receiving instant feedback! - Platform: an interactive medium utilizing audio and visual components, can achieve answers, visibility, connectivity, and interactivity all from the comfort of home! It's marketing genius! Internet Talk Radio Listeners are among the most loyal, active, word-of-mouth friends there are! If you are a business that sells a product(s) and/or a service(s), then you will definitely want to connect with people on the Internet, and in the most effective manner possible, one which is both effective and affordable. That manner is audio. Video is also a possibility, but it's more costly and not as "user friendly". Audio and video are the means, whereas audio should always be your first choice! You can incorporate video aspects later, once you've found that people actually like listening to you on a regular basis. Marketing audio has many advantages on the internet to that of video while still being easily adaptable to video with imagery and flash, for that YouTube experience. To be quite bold, internet talk radio is just about the finest tool a business can utilize to build a corporate internet "ego" that easily accesses a global audience. There really is no biz like show biz! Any business can profit from an internet show. If you build an internet presence, and add a little style, you'll be amazed at how powerful this can be for your bottom line. With the viral nature of today's social networks & internet medial outlets a business can be propelled into the spotlight with or without notice. To achieve global penetration with viral potential for almost any service or product you must step into the New Age, and use the Net to Connect. It is that huge! 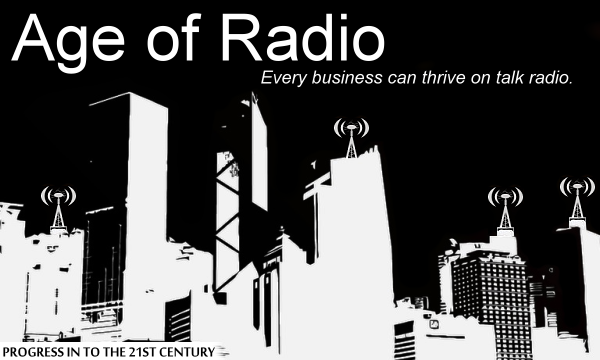 Online Radio provides an interactive platform that can achieve answers, visibility, interactivity, and connectivity, all from the comfort of home! It's marketing genius! If you provide a service and/or product, you should have an internet talk radio program. If you are a publishing firm, you should consider rotating authors and editors into a weekly one hour radio broadcast. If you are a brewer, you should have your employees on a talk radio platform talking about your wonder brew. If you are a talent agency or scout you can easily see how having a talk radio program would deliver powerful new clients! In point of fact, if you are engaged in any type of business from real estate to organic goods, you could easily benefit from an integrated, interactive, social media platform as part of your "game plan". Fact! It's just smart business, for any business! Internet Talk Radio is your best choice to express and communicate all manner of goods and services to a lucrative market with a global presence. The audio tools created by radio can be called upon again and again, for use as training tools, book materials, blog content, advertising clips, etc. Indeed, how better to build upon your business then by building a target market audience in ways that focus the power of your ideas? Ideas in motion receiving instant feedback! Get out there and talk about your business. Talk about your product. Talk about your service. Talk about you, your hopes, your future. Talk about it all, and talk about it often!